Since its creation in 2003 by a Chinese pharmacist, Hon Lik, the eCig has caught on like wild fire! Mr. Lik came up with the idea after losing his father to lung cancer. Ruyan, the company he worked for, developed the electronic cigarette products and released it to the public in 2006.
eCigs - are battery operated vaporizers that heat e-liquids with an atomizer, which in turn emulates tobacco smoking. eLiquid is composed of synthetic nicotine, flavoring, and propylene. Although the verdict for eCigarettes isn't set in stone, they're considered much better alternative to smoking. According to the Journal of the American Academy of Neurology, vaping doesn't expose the individual to any adverse components. The study further mentioned that vaporizers are medically sound devices. Note: e-Cigarettes and e-Liquids do not contain the extremely harmful components found in tobacco cigarettes. Since their introduction into society, the market has grown to include rechargeable kits, single usage cigarettes, vaporizers, electronic cigars, and pipes. Although vaporizers are relatively new in the market, they've been used for thousands of years! Aromas are known to calm our nerves, help us sleep, and even disinfect. Lavender, eucalyptus, jasmine, sage, and lemon balm are only a few oils that provide benefits for our bodies and minds. Most vapors do not contain harmful ingredients. Is There a Difference Between Smoke and Vapor? Yes. Smoke has huge amounts of toxic byproducts such as tar and nitric oxide. Additionally, smoke produces foul orders and irritates your lungs, mouth, and throat. Medical vaping has been going on for centuries, but marijuana vaping has surfaced as a controversial topic since the plant is illegal in many states. Since 2006, the e-Cigarette has become one of the most popular products on the market. In the United States, drones of addicted smokers are purchasing e-cigarettes to help them with their destructive habit. Although vaping has been going on for centuries, and most researchers claim it's safer than smoking tobacco, vapers should keep themselves informed on future research and potential side effects of nicotine use. If you've recently switched to vaping by using a vaporizer or some of the vape mods describe your experience below! Are electronic cigarettes safe ? 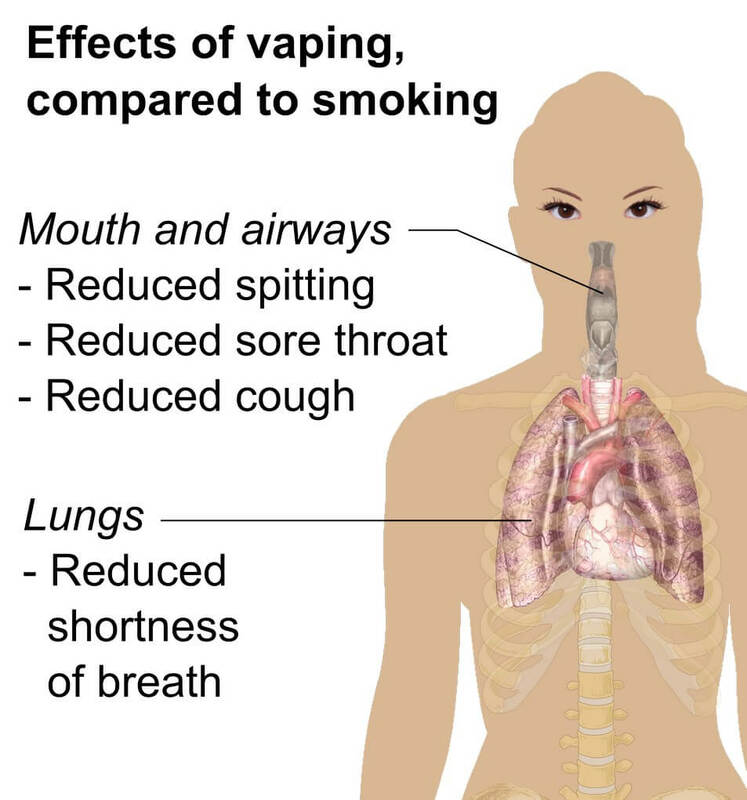 I absolutely hate when people say "vaping is just as bad as smoking". While I know that ecigarettes and mech mods haven't been around for that long, there has been research done on them, like the kind that's discussed in this article. I think it's great that you're publishing things like this to help give people who vape information that they can use, when they're criticized. Based on my own experience with an ecig, I can say that vaping improved my health. My doctor is the one who encouraged me to try. If she thinks it's better than smoking, I trust her! I really always thought they were the same thing to be honest. I guess ignorance isn't bliss. I thought they just put the tobacco in the cigarette casing and smoked it from there. Seemed just like a fancy cig to me. I used both an electric cigarette and a vaporizer before, I have to say I prefer vaping instead of smoking. I have also done a bit of digging around and I am certain vaporizers in general, are a healthier way to smoke dry herbs. I think there is a great deal of credibility toward safer alternatives for smoking with both E-cigarettes and Vaporizers. For smokers who are looking for a way to quite tobacco cigarettes, this could very well be the answer. Nicotine is the addiction, but tar is the killer! Tar is caused by burning materials, not by heating them. Though further research might be in the works, I believe both of these alternatives are a much better option than tobacco. The vaporizing concept is completely new to me, intriguing though! As for whether I think e-cigs are safer, I prefer no smoking, though if this was used as a way to quit, it might be better.